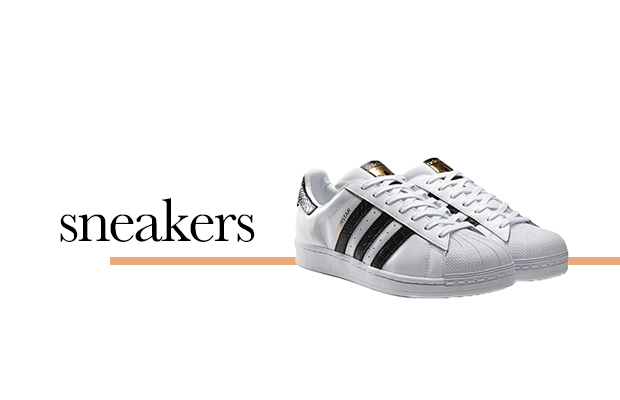 Who knew that old kicks, previously relegated to the gym locker, would become every fashion blogger’s must-have item? Sneakers were everywhere last year, and they’re here to stay. Whether it’s revamped classics like the Adidas Original Superstars, or new editions of the Nike Roshe Runs, everyone is sporting a pair of these versatile shoes. Say hello to stylish and comfy feet. Refined and low-key, pointed flats are the feminine alternatives to the classic, round-toed ballet flat. These come in many shapes and forms, from loafers to strappy flats, and it’s not difficult to find one in your favorite color. What’s more, this shoe elongates the foot to give off a sophisticated air without the discomfort of skyrocketing heels. Knee-high lace-ups made an appearance on the 2015 runways, but we’re here to bring you the simpler and more practical rendition: the ankle-length gladiator. Embrace your inner bohemian with these warrior-like sandals. They’ll help you stand out in a good way and complement your outfit—whether a maxi dress or baggy denim—without making you look out of touch with the real world. Meet the quirky cousin of the platform shoe. Part wedge and part flat, “flatforms” have a chunky but un-arched bottom that builds height without putting extra stress on the feet. We love their menswear-inspired coolness. The next time you’re putting on a suit, consider ditching your heels for a pair of these.